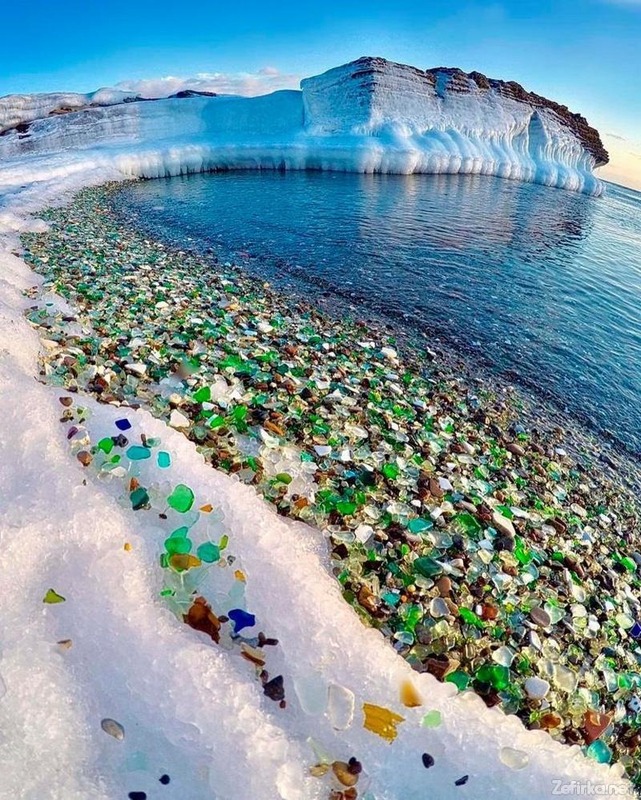 Just a 30-minute-drive away from the city of Vladivostok, Russia, lies a stunning bay surrounded by impressive cliffs. Not very long ago, the beach here was used as dumping ground of unwanted glass by a local porcelain factory, or so the story goes. 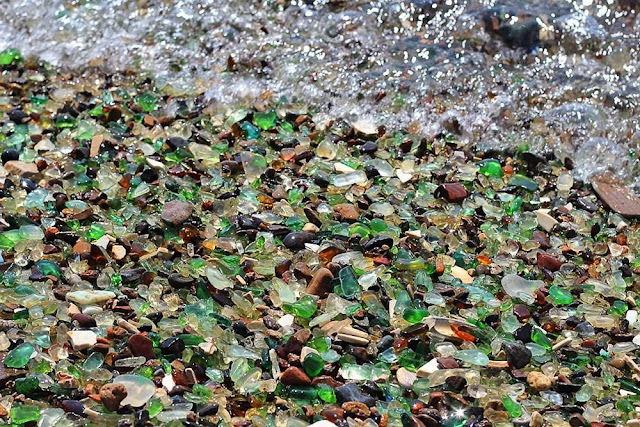 According to another version, the waste glass products were washed away by the river and then swept into the sea. 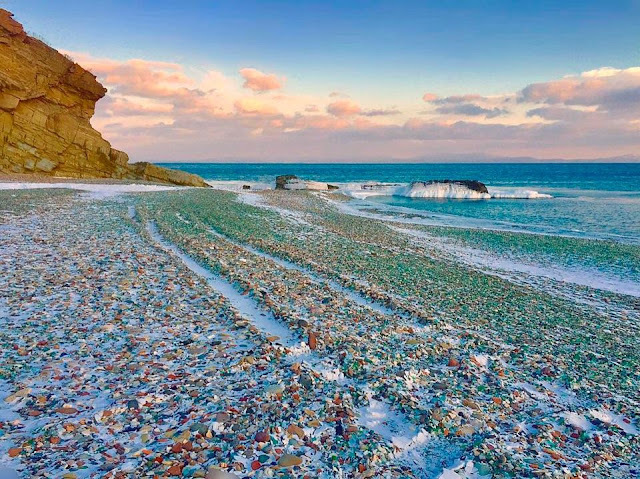 Now years later, the seaside on Ussuri Bay as taken on an unusual appearance. Millions of broken bits of glass, rounded smooth by the relentless pounding of the ocean waves cover every bit of the beach. 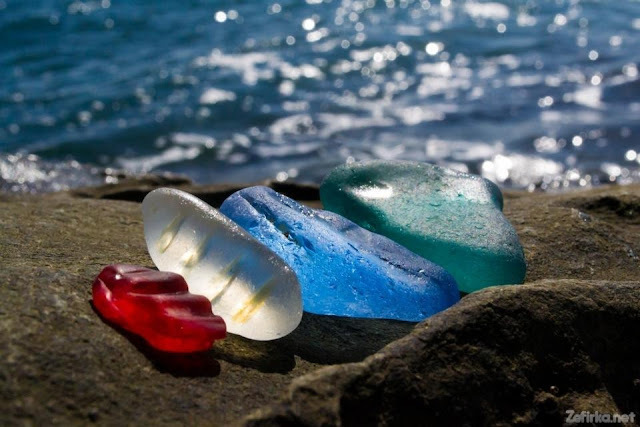 On a sunny day, they sparkle like lighted candles. 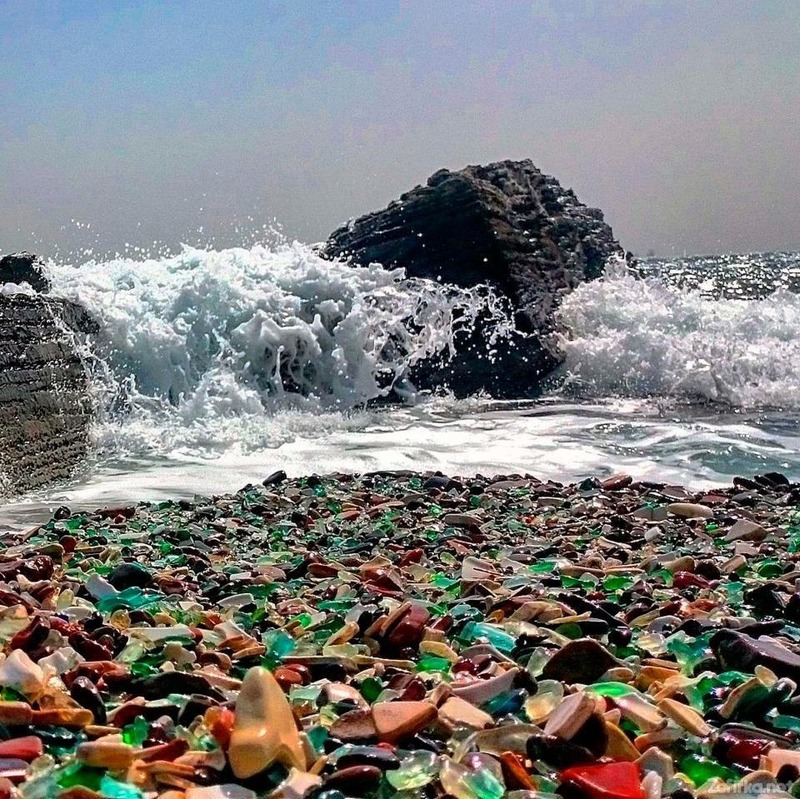 The Glass Beach of Ussuri Bay is not the only example of nature correcting man’s mistake. 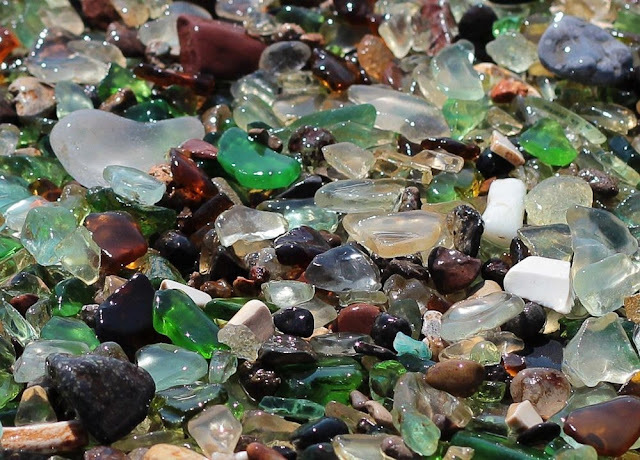 There is another glass beach with a similar history in MacKerricher State Park near Fort Bragg, California. 0 responses to "Glass Beach on Ussuri Bay"